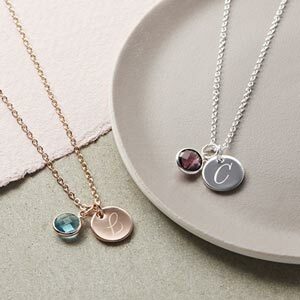 Personalised You and Me Heart Birthstone Necklaces have a beautiful personalisation of two initials of your choice (the & is included) and two birthstones to represent the two initials, one large and one small. 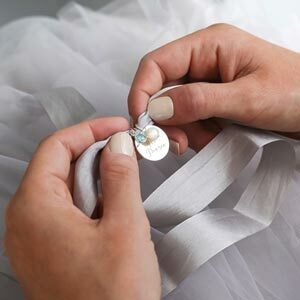 A perfect gift for Mothers, Weddings, Birthdays, Friends and a wide variety of occasions to let your loved ones know how special they are to you. The perfect name necklace! The personalised heart necklaces are available in adults and childrens size making them the perfect gift. Have one for myself and sister. Love it. I just loved the concept of this necklace. However the necklace has discoloured quite quickly- very saddened about this as I really loved the product. Really nice gift overall I'm very satisfied. Gems looked like colours as shown on site. Beautiful necklace, will be buying more in the future.